Riverside Park Self Catering Establishment of the Year 2007, is a friendly family run business comprising of 8 self catering town houses accommodating from 2 to 6 people. 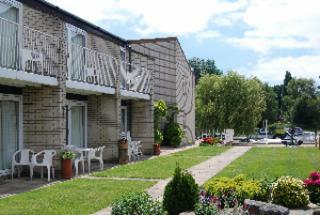 We are located on the banks of the River Stour in a quiet and picturesque location in the centre of Christchurch.All our comfortable town houses have patios and balconies overlooking our pretty secluded garden and the activity of the river. We are ideally situated for the Town Centre, Christchurch Quay, Safe Sandy Beaches, the New Forest, Bournemouth and Poole.For further information please take a look at our website. 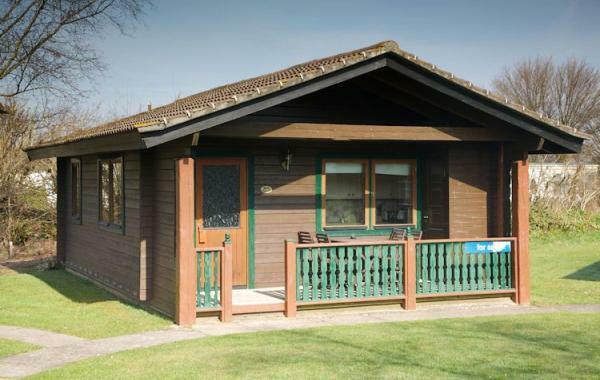 10 Saxon Maybank is a wonderful two bedroom lodge located amongst the stunning Dorset countryside. This is the perfect peaceful retreat for those looking to get away from it all with a true sense of peace and tranquillity. Inside, 10 Saxon Maybank is furnished to the highest possible standard, with a true homely feel as soon as you enter the front door. The modern open plan living, kitchen and dining area is spacious yet cosy, with plenty of natural light coming through the doors that lead to your private decked terrace area. Both bedrooms are furnished with a modern and contemporary feel, and make peaceful spaces to rest your head after a long day of exploring the local area. Being free from road noise and set in a secluded location, you’re sure to get a restful night’s sleep at 10 Saxon Maybank. Outside, the lodge has its own decked terrace area, complete with table and chairs for dining outdoors. 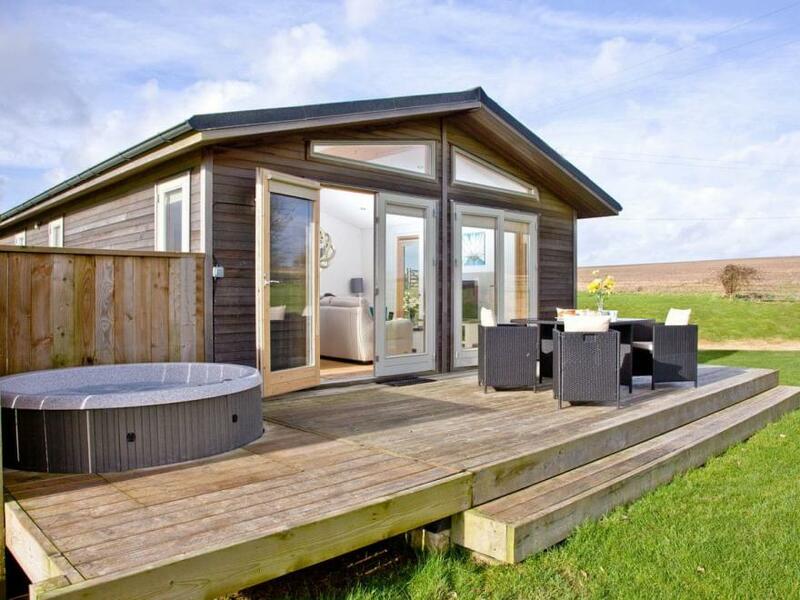 There is also a private hot tub, great for relaxing while you take in the spectacular countryside views. Saxon Maybank is set in a prime position for exploring all that Dorset has to offer. With Sherborne and Yeovil both within easy reach, you will find an array of shops and restaurants just a short drive away. If you fancy travelling further afield, you can even enjoy a day at the seaside with Weymouth just a 45 minute drive away. 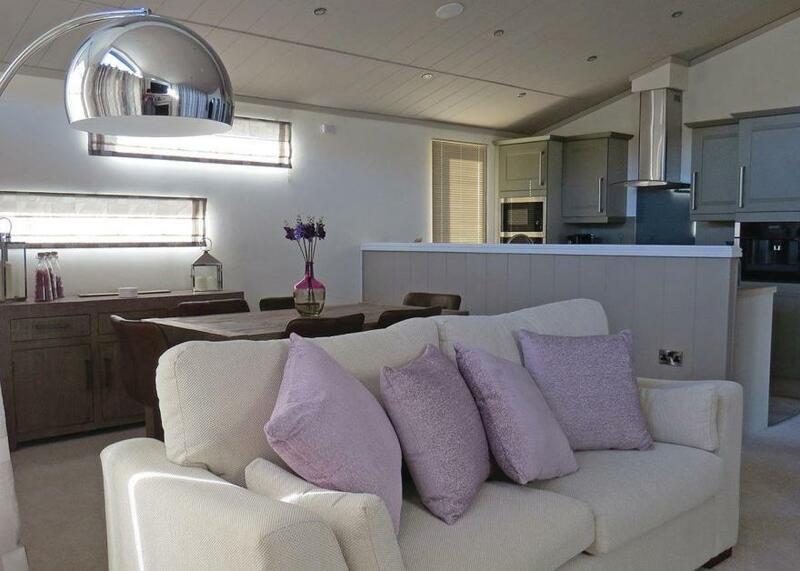 A beautifully furnished contemporary lodge set within the Saxon Maybank lodge resort.. Step to entrance. Living area: With 50" Freeview TV, DVD player, BOSE docking station and French doors leading to terrace. Bedroom 1: With double bed, 32" TV and en-suite with shower cubicle, toilet and heated towel rail. Bathroom: With shower over bath, toilet and heated towel rail.. Heating, electricity, bed linen and towels included. Cot and highchair available on request. Decked terrace with garden furniture. Lawned garden (shared). Hot tub (private). Private parking for 1 car. No smoking. Please note: This property has a security deposit of £100.. Make your way up the long, private drive of this elegant country estate to discover a collection of luxurious lodges that blend in perfectly with the Dorset countryside. It’s hard to say whether the first thing to strike you will be the peace and quiet or the views, but Saxon Maybank has a way of making you forget the rest of the world almost before you’ve grabbed your bags from the car, and then there are the lodges. Both bedrooms are furnished with a modern and contemporary feel and two bath robes are provided, making them peaceful spaces to rest your head after a long day of exploring the local area. Being free from road noise and set in a secluded location, you’re sure to get a restful night’s sleep at 10 Saxon Maybank. Saxon Maybank is set in a prime position for exploring all that Dorset has to offer. With Sherborne and Yeovil both within easy reach, you will find an array of shops and restaurants just a short drive away. If you fancy travelling further afield, you can even enjoy a day at the seaside with Weymouth just a 45-minute drive away. 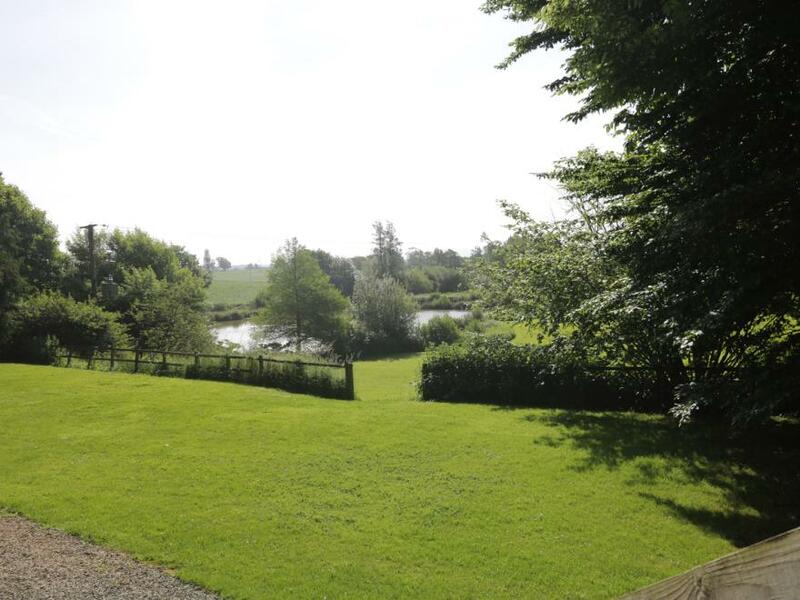 A beautifully converted barn with a private hot tub.. All on the ground floor. Living area: With wood burner, 32" Freesat TV, DVD player, iPod dock and French doors leading to terrace. Bathroom: With shower over bath, toilet and heated towel rail.. Heating, electricity, bed linen, towels and Wi-Fi included. Cot and highchair available on request. Decked terrace with garden furniture. Lawned garden (shared). Hot tub (private). Allocated parking for 1 car. No smoking. Please note: This poperty has a security deposit of £100.. Make your way up the long, private drive of this elegant country estate to discover a collection of luxurious lodges that blend in perfectly with the Dorset countryside. Both bedrooms are furnished to the highest standard, and with two bath robes to snuggle into, they provide the perfect environment for a peaceful night’s sleep. With comfortable beds in a secluded setting, you’ll be feeling fully rejuvenated after your stay. Outside, there is a private decked terrace area complete with a hot tub. 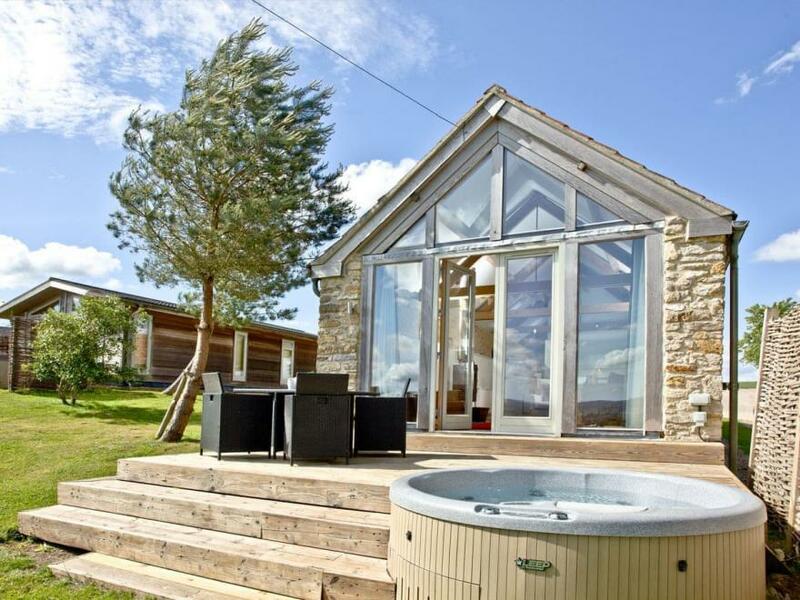 Take a dip in the hot tub and watch the sun set over the Dorset Hills after a day of exploring the local area. 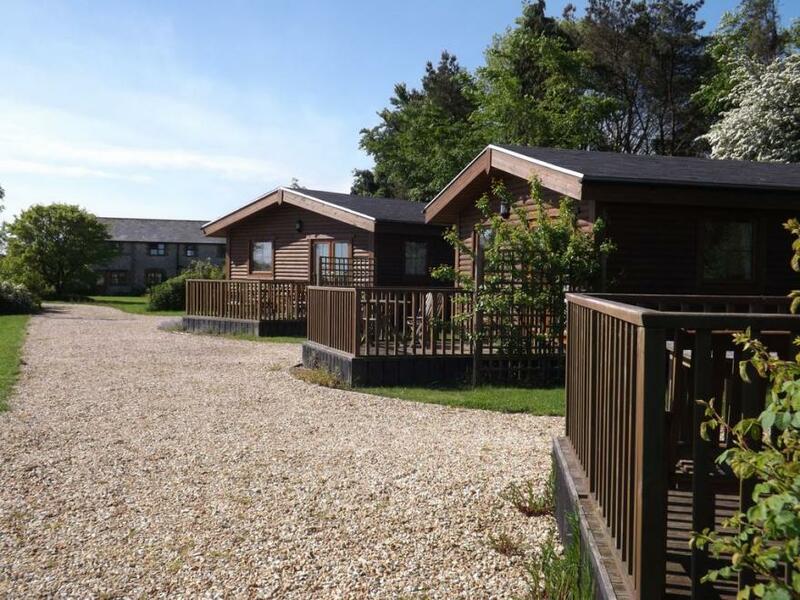 Pinewood Holiday Homes provides the perfect holiday destination. Located in a beautiful rural location, 9 Pinewood blends seclusion with a prime position for exploring the Devon and Dorset border. 9 Pinewood is an attractive two bedroom lodge with the open plan living kitchen and dining area, creating a relaxed and sociable atmosphere. Set within a peaceful countryside, the lodge?is great if you feel like to you need to escape from the hustle and bustle, while still being perfectly located for easily exploring Lyme Regis, the beaches of Dorset and Devonshire coastline. Lyme Regis, nicknamed ‘The Pearl of Dorset’ is a coastal town which lies in Lyme Bay on the English Channel coast at the Dorset-Devon border. Part of the Heritage Coast known as the Jurassic Coast, Lyme Regis is famed for the fossils found in the cliffs and beaches. Focused around its ancient Cobb Harbour, there are numerous activities on offer, from sea-fishing and pleasure boat trips to the tranquil Langmoor Gardens.There's a great selection of interesting shops, studios, pubs and cafes perfect for exploring as well as the south facing beaches ideal for families and sun lovers alike. 9 Pinewood has been awarded a 4 Star rating by Blue Chip Holidays in reflection of the quality standard and experience that the lodge offers, Pinewood Holiday Park has been awarded a 5 Star Holiday Park rating by Visit England which reflects the overall high quality and experience that the park facilities offer. Luxurious and spacious lodge with two doubles, one with a contemporary styled ensuite shower and dressing room, and two twin. Spacious bathroom with bath and overhead shower. Modern and well equipped open plan living/kitchen area. Patio doors leading to spacious decking with outdoor hot tub. Ideal for celebrating any occasion with families or groups of friends.. Wareham Forest Lodge Retreat is part of our Evermore Lodge Holidays Collection, surrounded by nature walks and cycle routes. This hideaway is the perfect base to make memories with the whole family, with sheltered coves, beautiful gardens and coastal towns brimming with activities close by. Explore the 14 miles of Wareham Forest right on your doorstep, go further afield to the National Trust Purbeck Hills and its beautiful Heritage coastline, or take a trip to Poole, Bournemouth and Swanage for a fun filled day out with that special someone or as an adventure for the whole family.. Wareham Forest Lodge Retreat is part of our Evermore Lodge Holidays Collection, surrounded by nature walks and cycle routes. This hideaway is the perfect base to make memories with the whole family, with sheltered coves, beautiful gardens and coastal towns brimming with activities close by. Apple Tree Lodge is an A-frame cabin which sits a couple of miles from Gilliangham in Dorset. It comes with three bedrooms which include a double, a twin and a single, there is also a bathroom and a cloakroom, the property is able to sleep five people. Inside, also find an open-plan living area with a kitchen, a dining area and a sitting area with an electric fire. To the outside you will see plenty of off-road parking, a decking with a BBQ, furniture and pizza oven and 15 acres of shared grounds with lakes. Apple Tree Lodge is a homely stay for families or friends seeking a getaway. Axe Lodge offers a beautiful escape for two people, or a couple with a baby. It is the smaller of the lodges, and is simply charming. Like the other lodges, there is wonderful open plan living space, offering everything that is required for your stay, including a well-equipped kitchen, cosy lounge, and dining area. The double bedroom is tastefully decorated and furnished, and the bathroom with a full bath and shower over, is bright and modern. Axe is on the end of the row of the three lodges, so it is very secluded and tucked away from all others. Outside of the lodge is a decked area for relaxing, or al fresco dining with a table and chairs, which has stunning views of the countryside. The lodge backs onto the woodland walk, and the dining area and bedrooms have views over our meadow. Broad Lodge is beautiful and very spacious. It is also incredibly popular, and there’s a good few reasons for that! Entry into the lodge takes visitors by surprise with it’s superb neutral tones and modern feel. To the right of the entrance is the large open-plan living space, offering a well-equipped kitchen (including a dishwasher), large dining table, and a good size lounge area for your party to relax in. It is all very well decorated, with quality furniture. To the left of the entrance are the sleeping quarters, which offer three gorgeous bedrooms: a double, a twin and also a room with bunk beds. This is incredibly versatile, as it can be a perfect retreat for a large family, a few couples, or a group of friends. Once again, each is very modern and good quality linen is provided for you. The Lodge has a large bathroom, and the addition of another toilet. Outside Broad Lodge Broad, like all the other lodges, is very secluded and tucked away within the grounds. Through the frenchdoors, you will find a large decked area and seating with a table, for al fresco dining or relaxation. There are extensive views across the landscape too, which sees regular change throughout the day as the animals come and go. 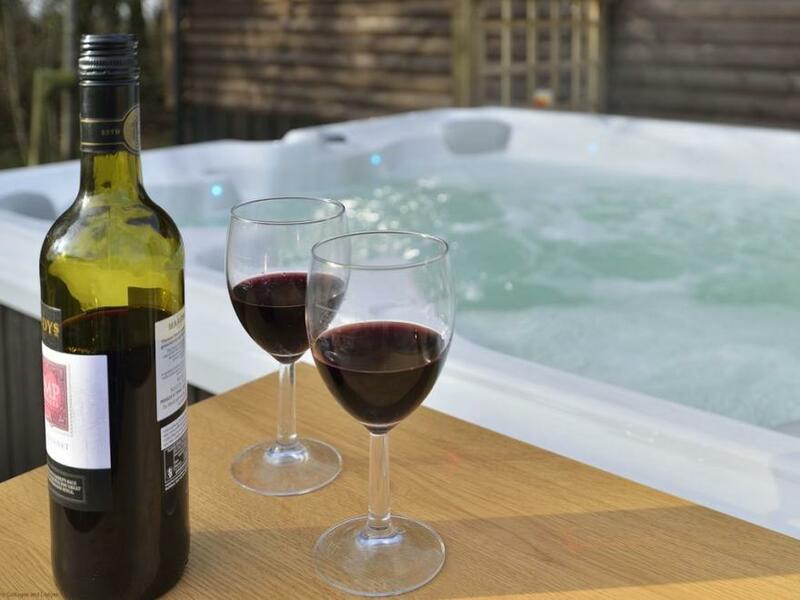 For a really special treat, guests can enjoy the brand new hot tub (new for 2015), which is exclusive to guests of Broad, and offers total privacy and a chance to wash away the stresses and strains of everyday life, whatever the weather! 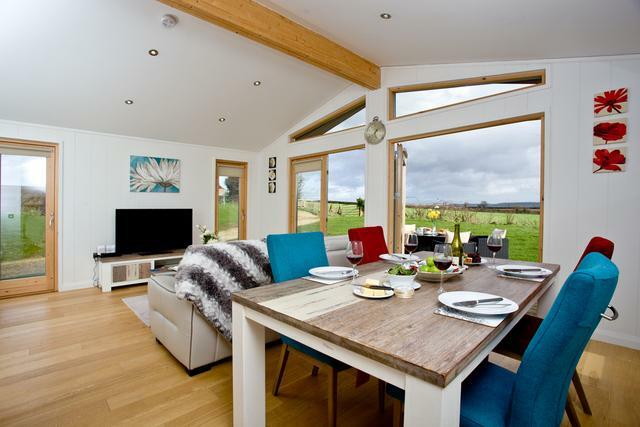 Modern and spacious lodge in an enviable location with a fresh and modern interior. One master double with walk in ensuite shower and one twin. Spacious family bathroom with bath and overhead shower. Fully equipped kitchen with dishwasher, washer/dryer and wine cooler. Open plan living area with 42" LED TV/DVD. Patio doors leading out to large verandah. No pets.. Based in one of Dorset’s finest countryside locations in the peaceful hamlet of Osmington Mills, the park is nestled within a beautiful wooded valley yet is just 200m from the seaside with a shingle beach and numerous rock pools. Osmington has fantastic facilities which include a bar, restaurant, heated outdoor pool, outdoor play area and garden.. Based in one of Dorset’s finest countryside locations in the peaceful hamlet of Osmington Mills, the park is nestled within a beautiful wooded valley yet is just 200m from the seaside with a shingle beach and numerous rock pools.